In Gabino Iglesias’ second novel, ghosts and old gods guide the hands of those caught up in a violent struggle to save the soul of the American southwest. A man tasked with shuttling children over the border believes the Virgin Mary is guiding him towards final justice. A woman offers colonizer blood to the Mother of Chaos. A boy joins corpse destroyers to seek vengeance for the death of his father.These stories intertwine with those of a vengeful spirit and a hungry creature to paint a timely, compelling, pulpy portrait of revenge, family, and hope. 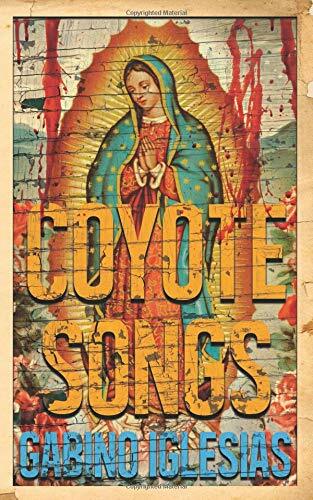 A Ballard of magical realism layered out in a poeticaly visceral and vivid narrative, hypnotically juxtaposing the reader amidst a myriad of potent voices, locales, death, histories of violence, hate, the disparaged, American dreams gone askew, and border tragedies. Liposuctioned writing with a empathic voice on race and identity with various crucibles echoing times we are living, created by violence, current and past social inequalities, poverty, and governmental powers. I feel these authors when reading this, Cormac McCarthy, Chuck Palahniuk, José Saramago, and Franz Kafka. Revitalised storytelling that is needed, souls that want to be heard, to exist, various border tales, whirlwinds of minds in a terrible beauty of chaos in order laid before you on the page. Buy it, give it, re-read it, support it!